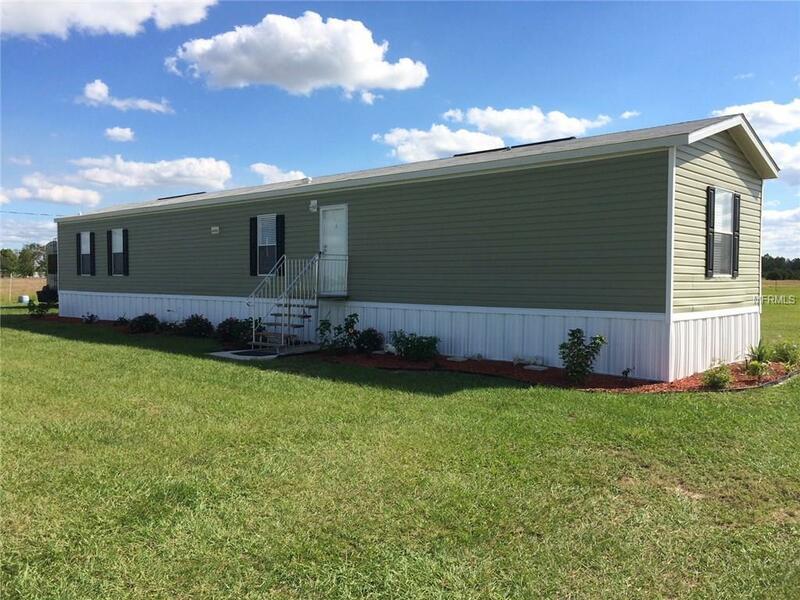 This new, never lived in mobile home sits on 8.44 acres of high and dry land. Each bedroom, as well as the living room, has a fan, there are 2 inch plantation blinds throughout the home, and a large living area connected to the spacious kitchen. There is a 1200 gallon septic system approved for 2 more bedrooms which makes this property perfect to add on to or to build your dream home. A 10x12 ft metal sided shed sits behind the home and is perfect for work or storage. There is also a 50 amp full RV hookup near the mobile home. Approximately 4.5 acres of fast growing pasture is cross-fenced to hold livestock on one end while nearly 2.5 acres is equipped with irrigation sprinklers and a 5 hp pump, complete with timer. There is water throughout the property for livestock, gardening and irrigation. Listing provided courtesy of Hot Florida Real Estate.